The Livemix CS-DUO is the most feature rich personal mixer on the market. The LCD touchscreen with custom naming makes creating a mix easy. Dedicated knobs provide quick access to essential features. 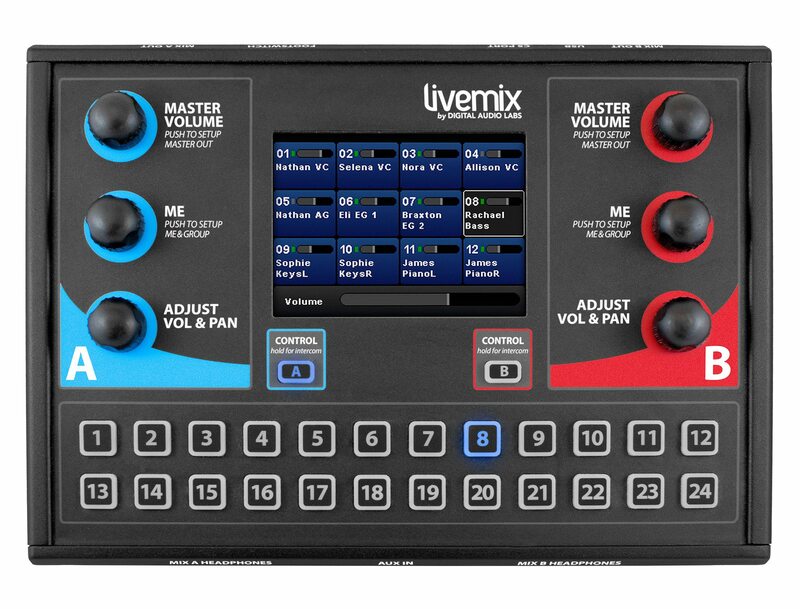 The Livemix CS-DUO is two personal mixers in one. 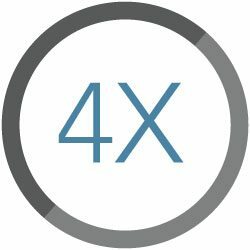 With two mixes per unit, you can reduce your overall per node cost without sacrificing quality or functionality. The CS-DUO provides 24 channels plus accessory channels, each with EQ and compression. The master output features EQ, compression and reverb. 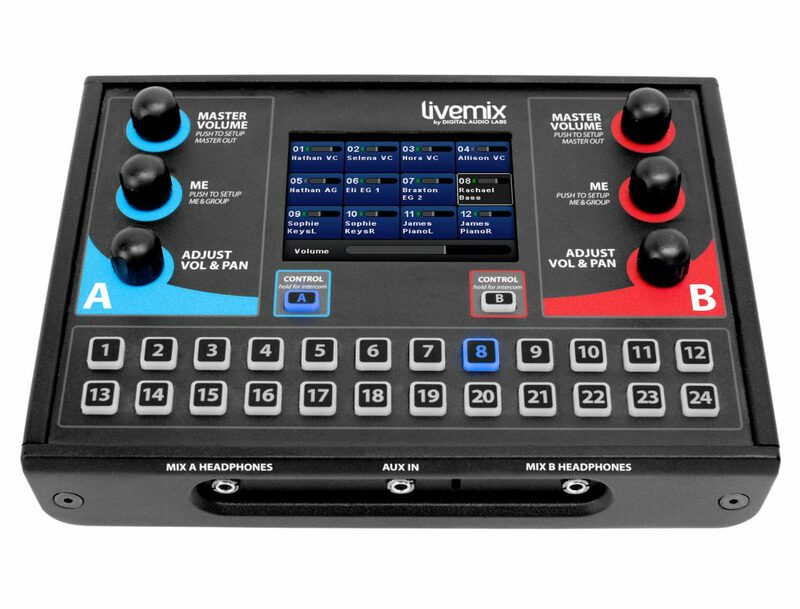 MirrorMix® remote setup and mixing, mute and solo options, channel grouping and LCD dimming make the Livemix system deep enough for professionals, but simple enough for volunteers. 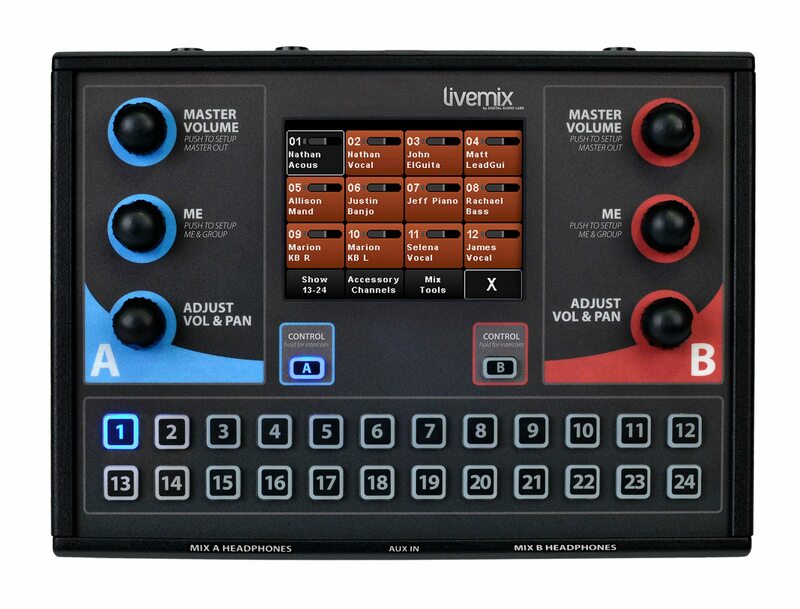 While most personal mixers give you 16 total mixable channels, Livemix offers 24 plus additional accessory channels. With Stereo Pairs and built-in Groups, it’s easy to build true stereo pairs and multi-channel groups. Mixing is much easier when you can “turn up Sasha” or “turn down the bass” and not try to remember who is on what channel. With a color LCD touchscreen with custom names, scribble strips and guessing is a thing of the past. Dedicated knobs for adjustments, your own channel group and master volume make mixing simple and intuitive. The headphone amplifier on Livemix will drive nearly any impedance and give you incredible space and tonal separation. This makes mixing easier as channels on other systems can tend to “smear” or “get muddy”. Multiple outputs make is easy to use either 1/8″ jacks like those found on in-ear monitors, or 1/4″ jacks like on many over the ear headphones. You can even connect the output to a powered speaker to for a custom monitor mix from wedges. 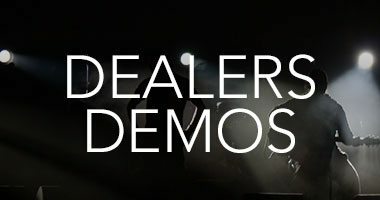 Effects presets for each instrument type help make mix setup simple. You can also bypass the presets and edit each effect directly. The effects in Livemix are global so that you only have to set them up once and everyone gets an incredible soundind mix. 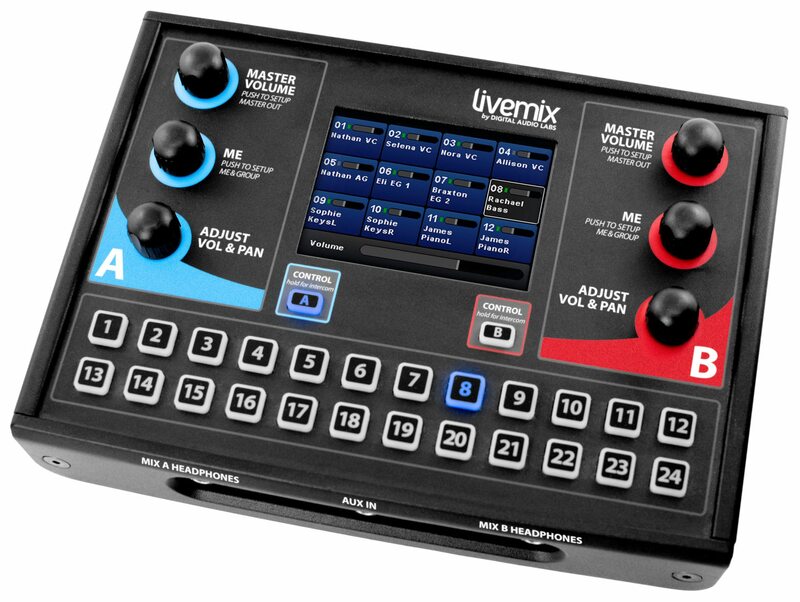 1In addition to the 24 input channels, Livemix boasts 4 accessory channels. 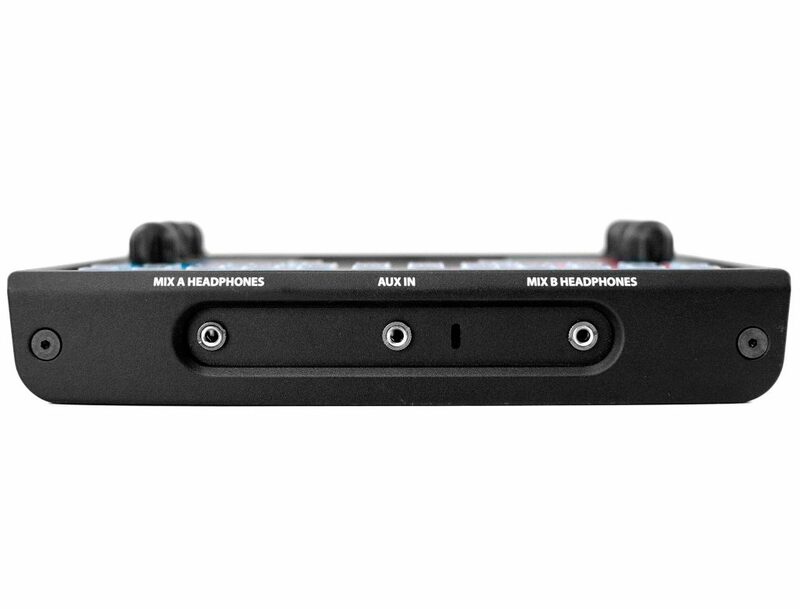 Built-in ambient mics helps musicians locate themselves on stage when using in-ear monitors. The intercomm allows team communication and the auxillary input can connect to a media player for practicing songs or for tracks. The built-in metronome helps everyone stay on time. 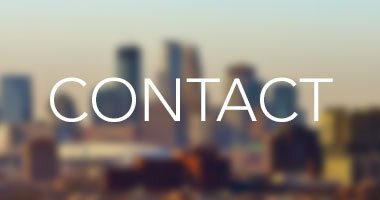 Are the CS-DUO and CS-SOLO PPOE? Both the CS-SOLO and the CS-DUO receive power over the ethernet cables. How do we get the reverb off the click? At this time, the reverb feature is applied to the Master Output and cannot be removed from a specific channel. Can I group the two sides on the CS-DUO? The CS-DUO has the abiblity to link both the A and B Mixes. Select the A mix, PRESS and HOLD both Master Volume knobs at the same time. Confirm that you want to group the controls. At this point both sets of control knobs will control the mix. Repeat these steps to unlink the mixes. What happens if we forget the passcode? To remove the passcode, PRESS the ME Knob for three seconds on any screen that prompts you to enter the passcode. 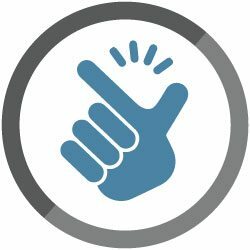 After three seconds, release the ME Knob and PRESS and hold it for three seconds more. The passcode removal screen will appear. SELECT Yes to reboot the system, removing passcode protection. Can I change the volume of a channel in a group? Yes you can, and it it incredible simple. Select the channel within the group that you wish to adjust. A white border will outline the channel to indicate it is selected. LONG PRESS the ADJUST knob to temporarily remove the channel from the group. The white outline of the selected channel will flash while the channel is temporarily out of the goup. Use the ADJUST knob to adjust the volume of the channel and press the ADJUST knob to return the channel to the group. Why did the channel names disappear after the power cycled? 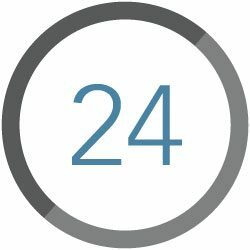 Livemix auto saves settings and mixes to a temparary location every 2 minutes. If you make an adjustment and power down without saving before it has a chance to auto save, you will loose your changes. It is recommended to always save a mix or global template when changes are made. How do I use stereo channels with Livemix? Livemix has 5 groups, one of which is controlled with the Me Knob. Using this feature, you can group two channels (Stereo Keys, Guitar, Tracks) but because it only groups the volume, you can still have the ability to use the full stereo field. 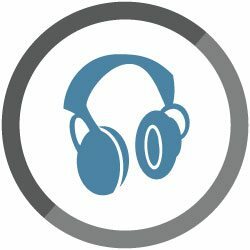 Does Livemix have stereo channel capabilities? At this time any single Livemix channel is a mono channel. However, the flexibility and ease of group assinging makes it easy to group stereo sources. This means you get true stereo panning, and since Livemix has 24 channels, you can have 4 stereo groups and still have another 16 channels for mixing. 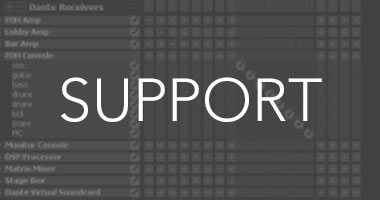 Why does Livemix only support 24 channels? 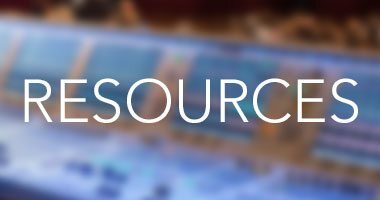 Through many years of working with worship teams, volunteers, and live bands, we have found that most musicians are not used to mixing multiple channels. We designed Livemix with this in mind. 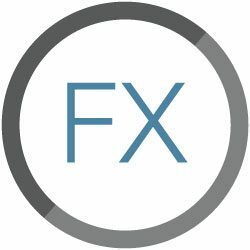 Additionally, it is much easier to offer help to another performer (or use MirrorMix®) when the channels are in the same locations from personal mixer to personal mixer. Can I daisy chain the personal mixers? 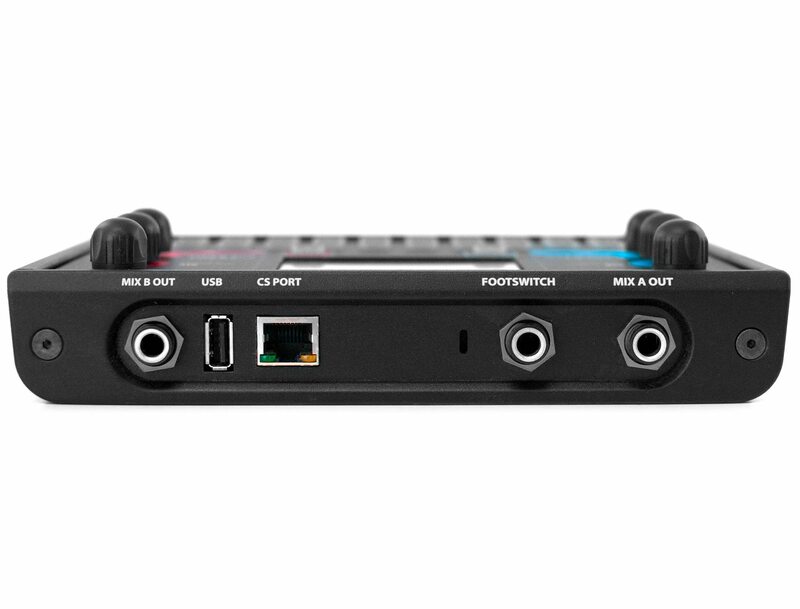 You can connect two CS-SOLO units to a single port on the MIX-16 or MIX-32. The first mixer is the blue “A MIX” while the second unit will be the red “B MIX”. Power and audio is supplied to the second CS-SOLO over a network cable connected to the CS-SOLO THRU port. The CS-DUO must be connected directly to the MIX-16 or MIX-32.